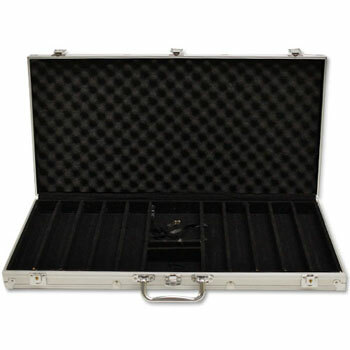 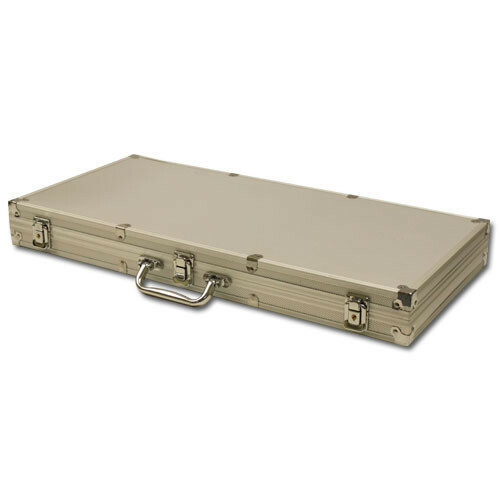 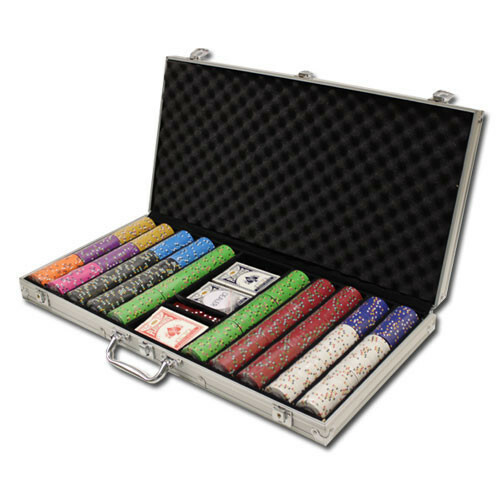 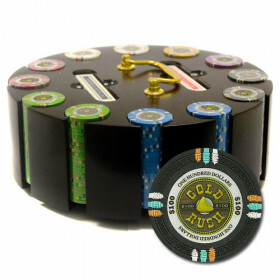 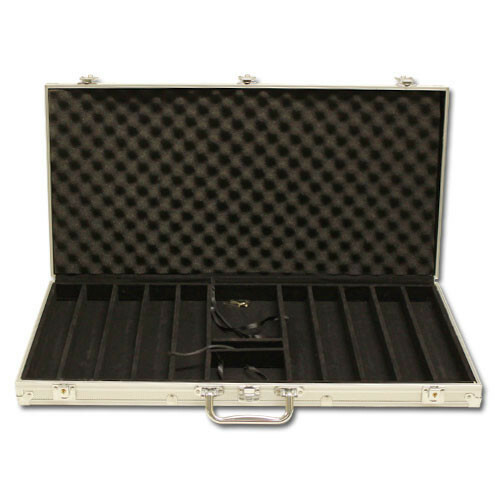 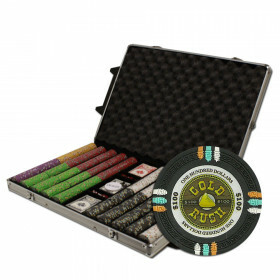 750pc Gold Rush poker chip set with Aluminum carrying case. 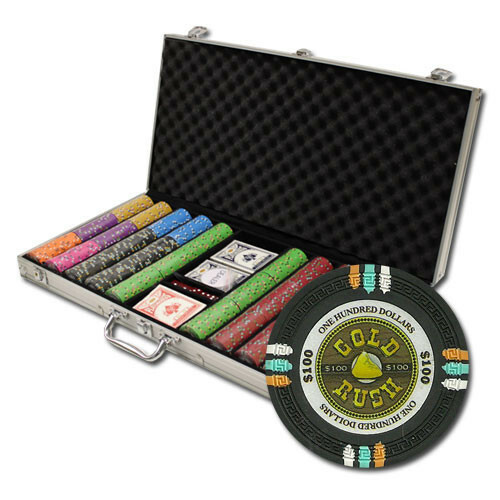 Includes 3 decks of cards, 5 dice and a free dealer button to get the action started. 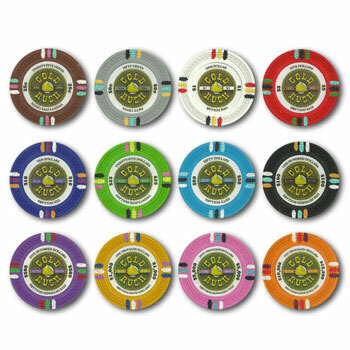 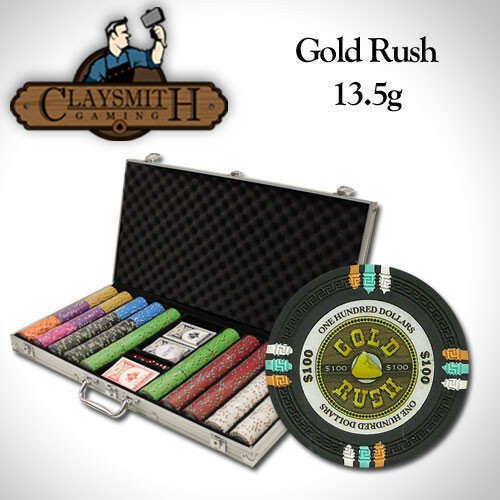 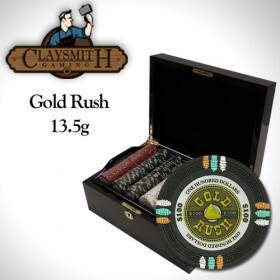 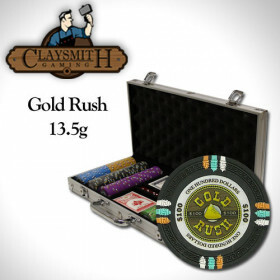 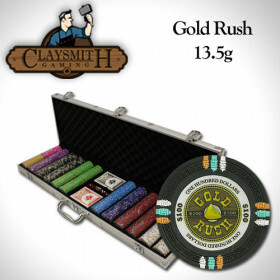 750 Claysmith Gold Rush clay composite poker chips. 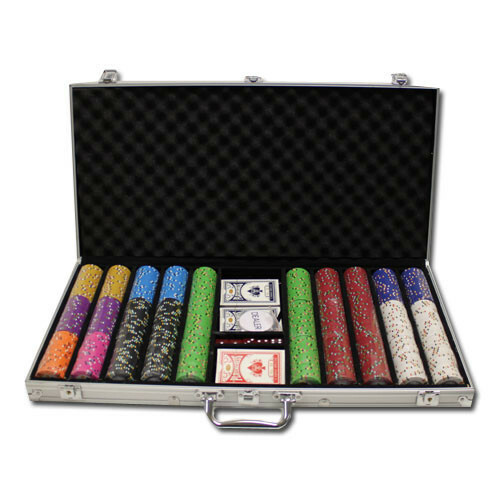 Plus, you get an extra deck of playing cards. That's 3 decks total!